Hippolysis’ address is Leoforos Plataion 95, 190 07, Marathonas, close to the Archeological Museum of Marathonas. Hippolysis was founded in 2009 by Dr. Niki Markogianni, psychiatrist-neurologist-psychotherapist. 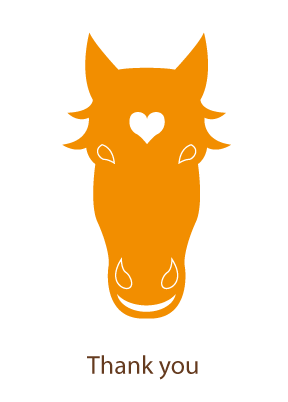 Hippolysis is a center that rescues horses, offers them love and a good quality of life and in return the horses help humans through sessions of learning, therapy and development. Do I need to make an appointment for my visit? Yes, it is necessary. Ideally we ask that you call as a week prior to your visit on our mobile: 6945911405. What age groups can participate to the sessions with the horses? There is no age limit. Hippolysis provides her services to children from 3 years old and adults of every age. Does horse riding take place in Hippolysis? No, the horses are not ridden. The sessions are done with and next to the horse. What do I need to wear when I come to the farm? Closed shoes is most important. In the summer, bring with you a hat and in the winter wear a warm jacket since all activities take place outdoors. Wear comfortable clothes that you don’t mind if they get dirty. How long does a session with the horses take? Your overall stay to the farm will be approximately one hour or one hour and a half. Can I bring carrots and apples for the horses? You may, but you will need to ask us to which horses you can feed them to and to what quantity. Hippolysis is a Non Profit Organization. What does that mean? It means that every person behind this project (psychiatrist, psychologists, managers, vets) are all volunteers. All the money collected by the donations from the sessions, assist in covering the expenses for the survival of the farm and the horses. How can I help Hippolysis? Help is always welcomed. You may help through a sponsorship, a donation (even a donation in kind). Also, by spreading the word mouth to mouth or via the social media.